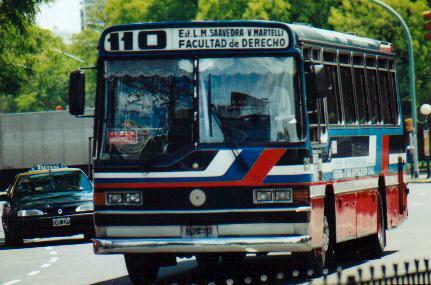 - Buses: Inside Capital City there are more than 100 bus lines. They work 24 hours a day but during the night their frequency is reduced. The ticket costs $ 1,10 (pesos) (not more than 3 km), $ 1,20 (pesos) (between 3 and 6 km) or $ 1,25 (pesos) (between 6 to 12 km). You can ask the driver how much it is to the place where you are going. You can only pay with coins. Make sure you have them ready when you get on... argentinians are impatient. 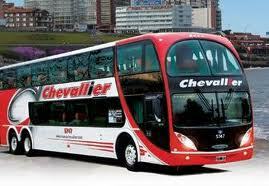 "Colectivos" (buses) have a fixed schedule... But the hardly ever respect it. 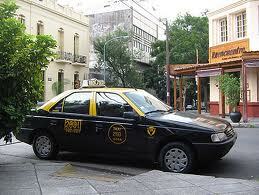 - Taxis: They are black and yellow. The price of the journey starts at $ 3,80 (pesos) and every 200 meters the cost increases by $ 0,38 (pesos). You can also take a call-taxi ("Radio taxi") for the same price and for more security. 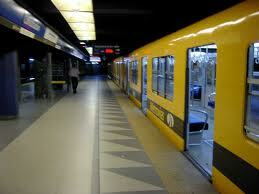 - Metro / Subway: There are 6 lines that go through the busiest areas of the city. The ticket costs $ 1,10 (pesos). You buy them in the ticket office inside the stations. Even if you get one thousand tickets, the price per ticket is still the same. The Metro works from 6.30 AM to 11 PM. Its frequency is around 5 minutes, but if you want to have a comfortable journey and survive this mean of transport, the avoid taking it between 9 and 10 AM and 6 and 7 PM. 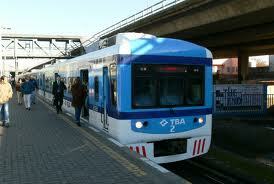 - Trains: Urban trains connect Capital City with the Greater Buenos Aires ("Gran Buenos Aires"). They work between 5 AM and 1 AM. But try not to take them at night... It´s better to travel with some other means of transport. - Long distance buses: There are lots of national and provincial routes spread throughout the country. Long distance buses are fast and comfortable. There are three different services differing in the number of stops and type of seats. They are called "Regular", "Semicama" (semi-bed), and "Cama" (bed). If you have a long journey the best is Cama (bed) as the seat similar to an airline´s first class.